According to a press release issued by the Massachusetts Department of Environmental Protection (MassDEP) today, the Suffolk Superior Court issued a judgment against a New York City-based company for failing to properly address historical contamination at the former Kent Silversmith plating facility in Taunton. The court order requires the Michael C. Fina Co. (Fina) to pay $265,000 in penalties and fees and to clean up the site in accordance with the Massachusetts Contingency Plan. 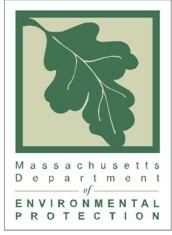 In the complaint, MassDEP alleged that the characterization of contaminants at the site was insufficient and that the numerous applications of remedial additives into the soil and groundwater at the site were excessive, resulting in the spread of solvent-contaminated groundwater and the intrusion of solvent vapors into several nearby residences. Remedial additives are chemicals used to treat and remove contaminants in the groundwater. “Excessive use of a cleanup additive transformed a treatment process into something harmful, and the project went from treating the problem to driving it away from the original site and onto adjacent properties,” said Phil Weinberg, director of MassDEP’s Southeast Regional Office in Lakeville. MassDEP identified numerous regulatory violations as a result of its site audit and referred the enforcement case to the Massachusetts Attorney General’s (AG) Office. The AG’s Office filed the court complaint against Fina for the various alleged violations that occurred during the performance of environmental response actions. This case highlights the significant fines and penalties associated with MassDEP enforcement actions and serves as a reminder not to ignore notices from MassDEP. If you are unfortunate enough to receive one, don’t disregard it. The problem will get worse long before gets better. Consult an environmental engineer and counsel. For questions regarding MassDEP violations, penalties and appeals, please contact David McCay, an experienced Massachusetts environmental and real estate litigator at Mirick O’Connell at (508) 791-8500. This entry was posted in Environmental, Hazardous Materials, Uncategorized and tagged David McCay, Environmental Attorney, Hazardous waste, Massachusetts Contingency Plan, Massachusetts Department of Environmental Protection, Massachusetts environmental attorney, Massachusetts real estate litigator, MassDEP, Superior Court. Bookmark the permalink.